Is it a "deal alert" if the cheapest option is still way more than most people want to pay? Probably not, but if you're in the market for Pioneer's first car stereo head units equipped with Android Auto, you can save some considerable cash anyway. The new models have been heavily discounted on Amazon almost immediately after being released, often by hundreds of dollars. For example, the top-of-the-line AVIC-8100NEX, with a wallet-pounding suggested retail price of $1400, is going for just $934 on Amazon. Maybe a grand is a little much to pay for functionality that can mostly be replicated with any $200 Bluetooth-equipped stereo and a decent phone dock. The slightly less feature-packed AVIC-7100NEX, which Pioneer insists is worth $1200, is going for $830. The bottom-rung AVH-4100NEX, sold at retailers for $700, is just $570 with Prime shipping. You can find it even cheaper from Amazon's third-party sellers: click the "other sellers" link on the page, where one is selling it for "just" $554. 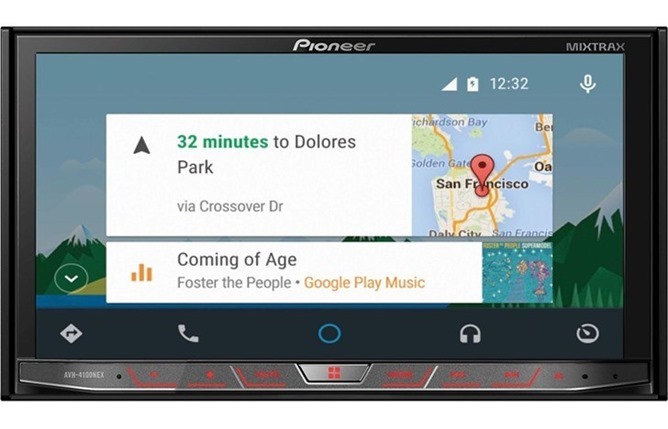 All three Pioneer units require a car with a double-DIN stereo bay, and you'll need an Android 5.0 device to use the Android Auto app. More car stereo manufacturers (hopefully with more reasonable prices) should have Android Auto-enabled units for sale this summer, and new cars with Auto-compatible stereos are already being sold by Hyundai.